River clean-ups have revealed that 60% of litter in the River Thames is made of plastic and that there would be much less rubbish in the water if there were more reusable plastics available. 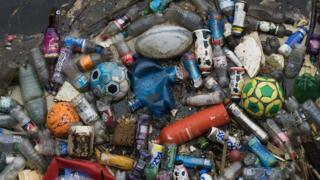 As most of us know, the problem with plastic is that most of it isn't biodegradable. It doesn't rot like paper or food so it can build up and stay in the environment for hundreds of years. As the Marine Conservation Society and Thames21 found, this means small plastic items can simply end up floating around in the sea. At Southend-on-Sea where the Thames meets the sea, 560 items of the litter found were unrecognisable pieces of plastic. Plastic in the sea and in rivers can cause problems for wildlife, as small pieces of plastic can end up being eaten by animals and sometimes results in it getting stuck inside the animal. Single-use plastics are materials which are only used once, such as water bottles or carrier bags. Whilst there are lots of new ways to change the way we recycle plastic and make it easier, the majority of plastic currently in use ends up being thrown away. This means it finds its way to rubbish dumps or in rivers like the Thames. 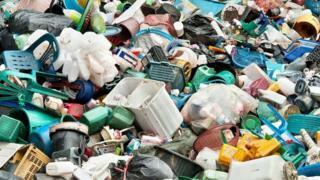 Plastics are man-made and are produced from natural materials like coal and oil. Recent river and beach cleaning sessions arranged by the Marine Conservation Society and the charity Thames21 removed over 19,048 pieces of plastic that would otherwise end up out at sea. There were 219 pieces of rubbish every 100 metres. Whilst single-use plastics such as drinking straws and food packaging are beginning to be replaced with materials better for our environment, plastic can still be found in some unlikely places. For example, wet wipes made up 77% of 2,520 items which were taken out of the River Thames in recent clean ups. How can we stop plastic litter from getting into the sea? Alternative materials to plastic, recycling and deposit return schemes are all being encouraged by the Marine Conservation Society as ways to stop plastic litter from getting into the sea. Deposit return schemes work by charging you slightly more when you buy something made of plastic, but then giving you that extra money back when you bring them to a shop or reverse vending machine to to be recycled. The aim is to encourage more people to take back their packaging to be recycled, and therefore keep plastic out of dumps and waterways. 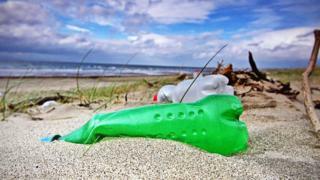 Programmes like Blue Planet, which featured David Attenborough, have really helped bring attention to what a huge problem plastic is for our environment. Seeing the damage on television has resulted in lots of people talking about what we can do to help. Debbie Leach from Thames21 said that by using alternatives to single-use plastics, 80% of the plastic that has collected in the River Thames and in the sea could disappear.